This is a nice list of the top free MMORPG no download games of 2012. You can play all of these MMOs on your browser without having to download a client so its very easy and convenient to have fun wherever you are. Drakensang Online – a fully 3D, classic medieval fantasy browser MMORPG. This is one of the most popular games listed here, with a massive community of millions of registered users. If you have ever thought that browser MMOs are low-quality, cheaply produced games, try this one out and you will surely change your mind. The topnotch quality of the graphics and smooth, polished gameplay are pretty awesome considering there is no client download needed. 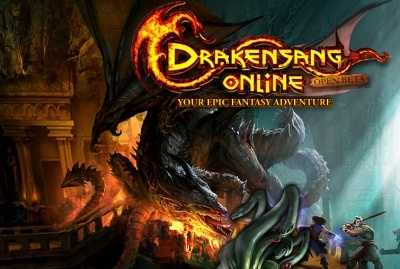 Lots of dungeons, fast-paced combat, challenging boss monsters and arena PvP are the top features of Drakensang Online. 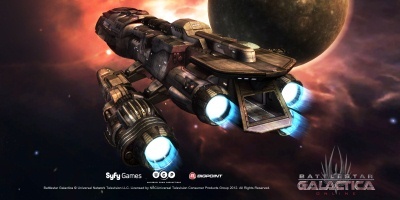 Battlestar Galactica Online – an amazing 3D space adventure game based on the hit TV series Battlestar Galactica. In this game players choose a faction (humans or alien/Cylons) and battle it out in exciting, strategic spaceship combat. How good is this game? BSGO’s beautiful graphics and innovative gameplay has reached over 10 million players in its first year and its playerbase is still growing. 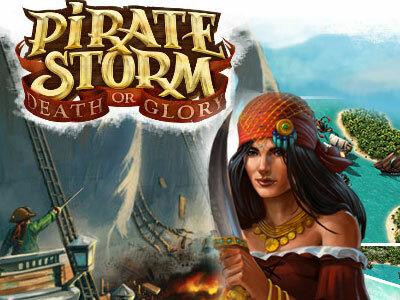 Pirate Storm – pirate fans will love this f2p no download action MMORPG. Players take on the role of pirate captains who sail the seas to fight adversaries, monsters and fiends for loot and glory. A fun game that anyone can easily learn to play in a few minutes, in Pirate Storm you can de-stress by sending your enemies to a watery grave. This is a pretty big-budget release for a browser game, with language support available in 24 different languages, including Brazilian Portuguese, English, French, German, Italian, Spanish, Turkish and Polish. Crystal Saga – this is a great free MMORPG no download game with colorful, anime-style graphics that make playing it quite fun. It has tons of good content like PvE, quests, PvP, crafting, pets, mounts, dungeons and so forth. Urban Rivals – a different kind of browser MMO, Urban Rivals is an online multiplayer trading card game which plays like the anime Yu-Gi-Oh! where you have fast-paced, exciting card battle with other players. Dragon’s Call – another classic fantasy free browser MMORPG in which players can explore and adventure in a vast world full of danger and excitement. Golden Age – one of the top MMORTS (massively multiplayer online real-time strategy) games in the world, Golden Age is unique in that there is lots to do and very little waiting time. It features multiple modes of progression, unlike most RTS games where you just stay in your city building and gathering resources. In Golden Age there are lots of quests and several heroes that you can level and equip with gear. There are even special instances which are large maps that you can explore with your army, battling foes until you reach the end. The best thing about this game is that all players belong to one of three factions. Unlike in other MMORTS’ where it’s every man for himself, in Golden Age players of the same faction help each other out which makes for a better, friendlier community than most. Dragon Crusade – a brand-new game launched quite recently (June 26, 2012), Dragon Crusade is another MMORTS that sets itself apart from the others with fully customizable heroes that you can level up and even give mounts and pets to, this is one free MMORPG no download browser game that has truly fun player vs player combat. Dark Orbit – an action-packed space shooter that boasts an astounding 65 million registered players from all over the world. Dark Orbit is a futuristic science fiction browser MMORPG in which players fight each other for control of resources. This is heavily PVP so although there are quests and other such content, most of the fun in Dark Orbit can be had through joining a clan and fighting other clans in open PvP. The Settlers Online – this game is just fun. Players settle a new city and build a medieval-style kingdom. This is great for players who like to play a social game where you can create or join guilds, trade resources and help each other out. Fans of city-building simulation games will love The Settlers Online. For the action part, there are three modes – campaign, skirmish and multiplayer. In the campaign part of the game you follow the story of a Princess who is struggling defeat her enemies and restore the glory of her kingdom. Skirmish maps, on the other hand, allow players to battle AI opponents. Players can fight other players in multiplayer maps.